Easter is a very special day in our family. There are special surprises, special worship services, and a special dinner with favorite dishes and indulgent treats. Like this dense flavorful carrot cake. 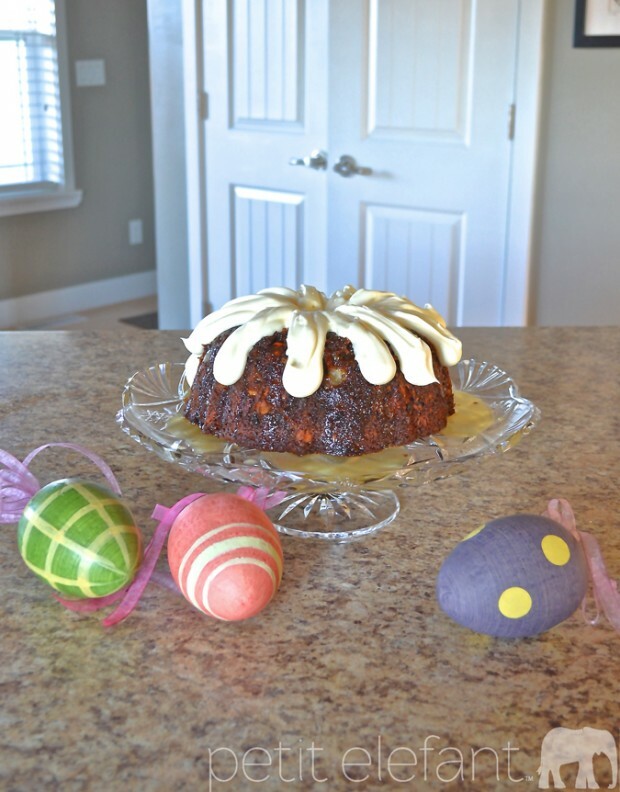 I’m not sure how it ended up on our Easter menu, because I first enjoyed it at my own wedding reception many moons ago–in the middle of December. Still, it has plenty of springtime panache. My mother-in-law shared the recipe with me when I was a newlywed and I’ve gladly shared it many times since then. It’s known simply as The Carrot Cake. This cake is done entirely from scratch, with plenty of buttermilk, vanilla, butter and other such goodness. There’s also a glaze. And frosting. On top of the glaze. You’d better eat some extra asparagus, you know, for balance. It’s a bit of work, but not tricky or difficult, and it’s just the thing for a special occasion. I used a bundt pan, because I think it looks pretty, but it works perfectly in a 9×13 also. Now for the cake, with orange glaze and cream cheese frosting to follow. Grease your bundt pan (or 9×13, that works well, also). Do a thorough job of it. I’m serious. Preheat oven to 350. 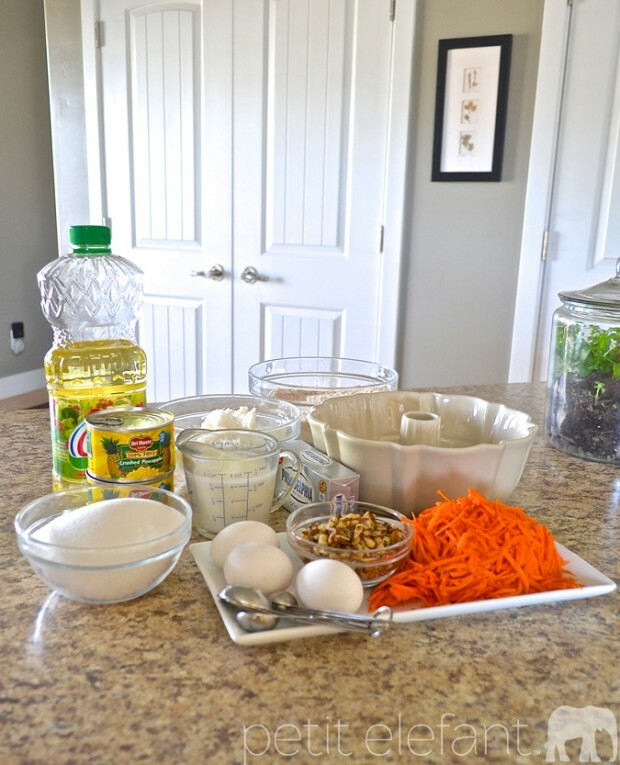 In a medium bowl, whisk together dry ingredients (flour, soda, salt, cinnamon). 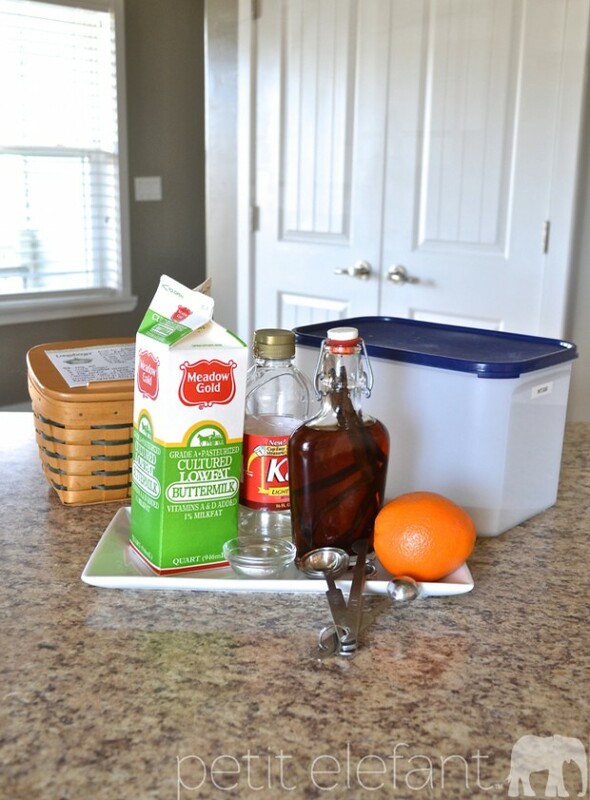 In a large mixing bowl, combine eggs, oil, buttermilk, sugar and vanilla. Beat gently until combined. 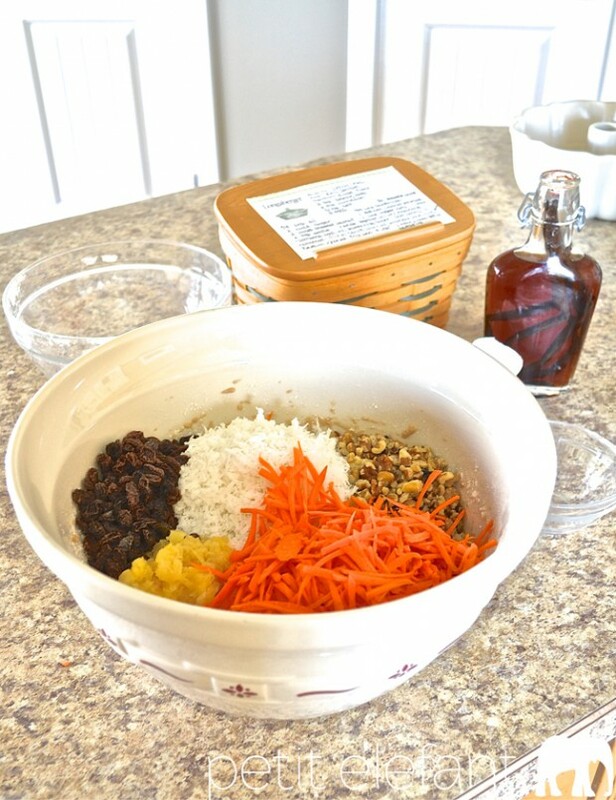 Slowly add in the dry ingredients and beat gently until just combined. 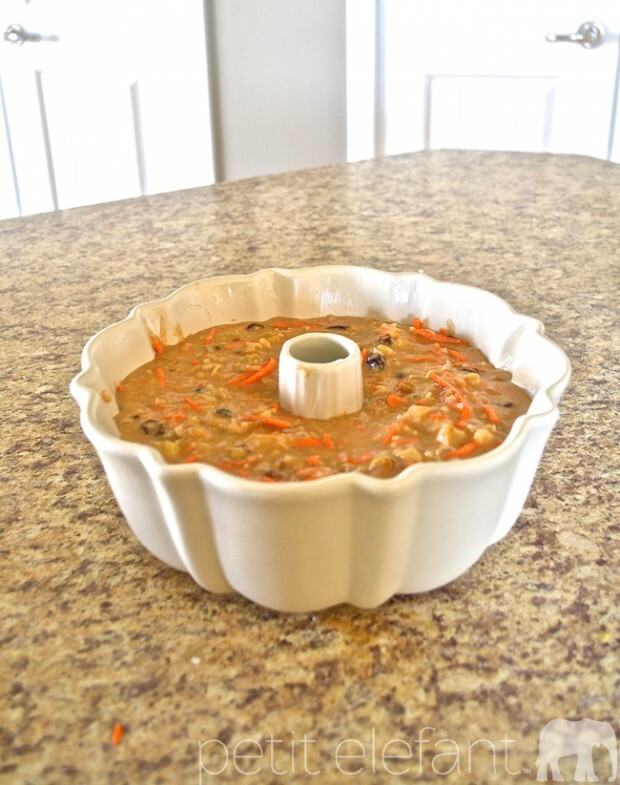 Mix in carrots, pineapple, coconut, nuts, and raisins. 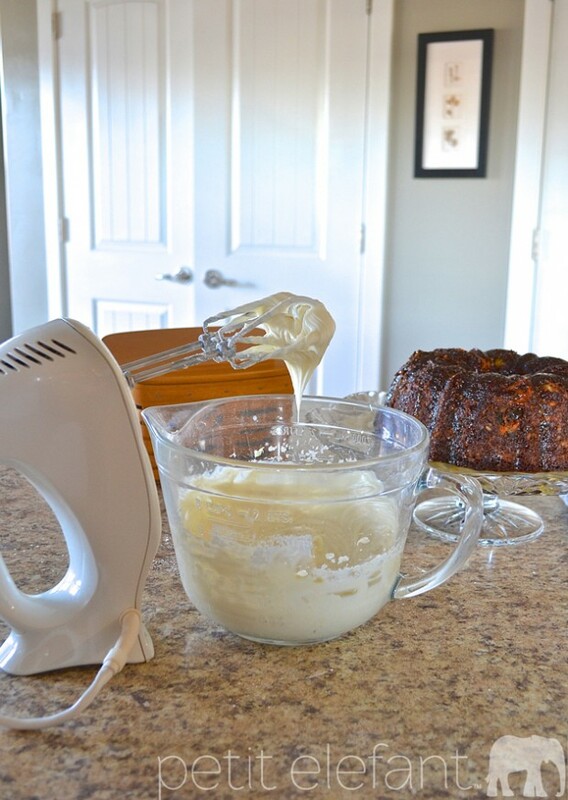 Transfer batter to your bundt pan, making sure to leave at least an inch of space at the top of your pan. This cake rise a bit in the pan, so leaving that extra space at the top is critical, unless you enjoy scraping spilled-over burnt cake bits out of your oven. Not that it’s ever happened to me, of course. 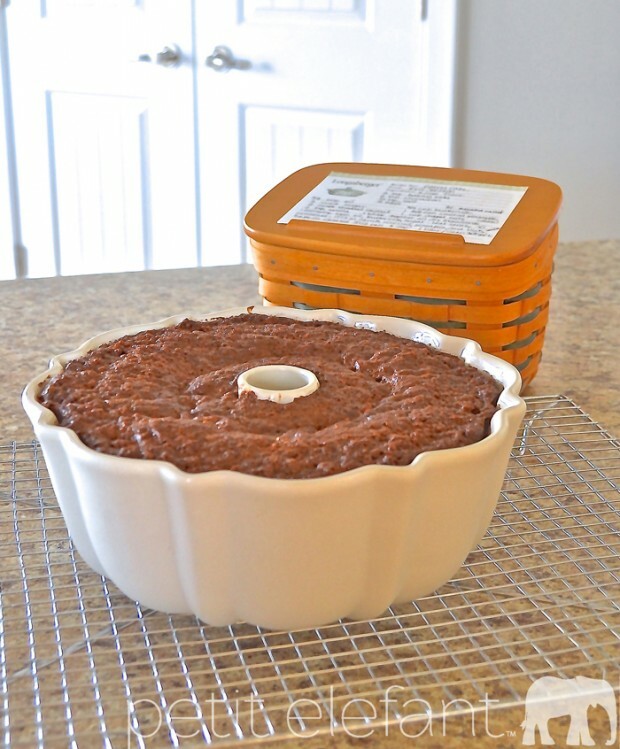 All bundt pans are not created equal, they come in different sizes so you may have some extra batter in your bowl. Just grease a small loaf pan or other baking dish and bake the extra batter separately. Bake at 350 for 1 hour, or until a toothpick inserted in the center comes out mostly clean. 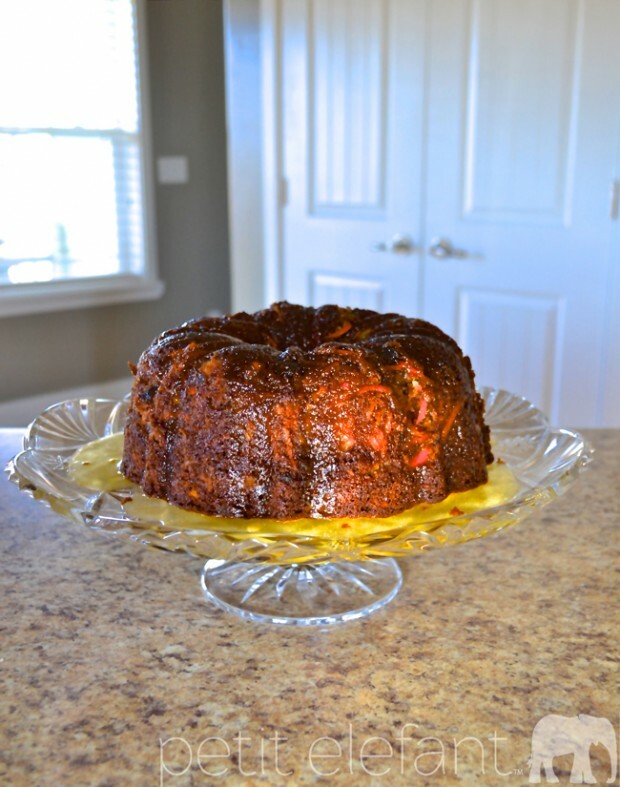 Allow the cake to cool in the bundt pan, on a wire rack, for about 30 minutes before turning it out onto your serving plate. If it comes out imperfectly, just patch it up a little. We’ll be covering it with divine glaze and luscious frosting, so nobody will notice those imperfections. It’s true, because I just had to do it with this cake right here. No biggie. If you used a 9×13 pan, just leave the cake in the pan. In a medium pot, combine all the ingredients and bring to a boil. The glaze will foam and froth up considerably, so watch it carefully. Do not overestimate the capacity of your pot. Boil for 1 minute. Pour over your baked but still warm cake, and allow everything to cool completely. Go hide some Easter eggs, then move on to the cream cheese frosting. I know it looks scrumptious just like this with all the glaze spilling over and soaking in, and it is, but just wait for that frosting. 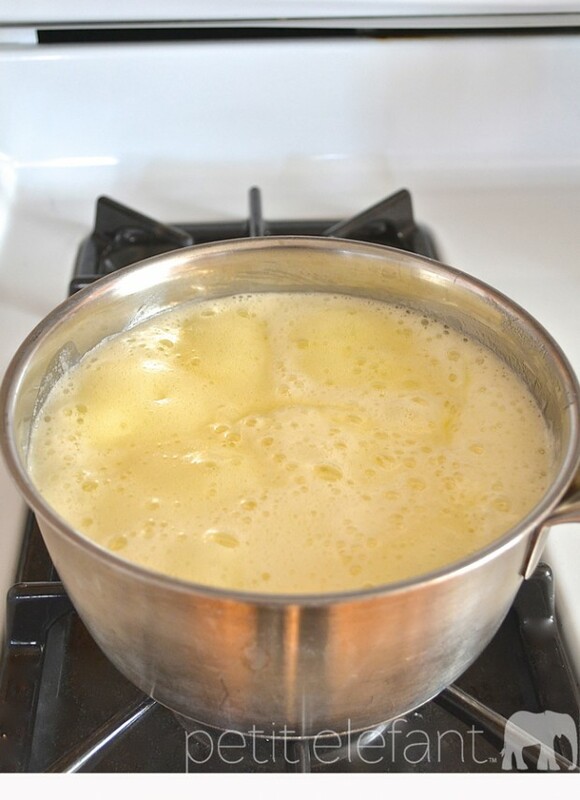 Begin by beating just the cream cheese until it’s nice and soft, then add the butter and mix well. Add 2 cups of the powdered sugar and beat until blended. Add remaining powdered sugar and vanilla and beat until smooth and fluffy, not to thick and stiff. Now pipe or spread the frosting any way you like over your cooled cake. Let the frosting set a bit before serving, and enjoy! You’ll have a dense, moist, flavorful cake all puddled over with a sweet butter glaze and great dollops of tangy cream cheese frosting. It’s a keeper, I promise. Store leftovers in the fridge. Happy Easter! 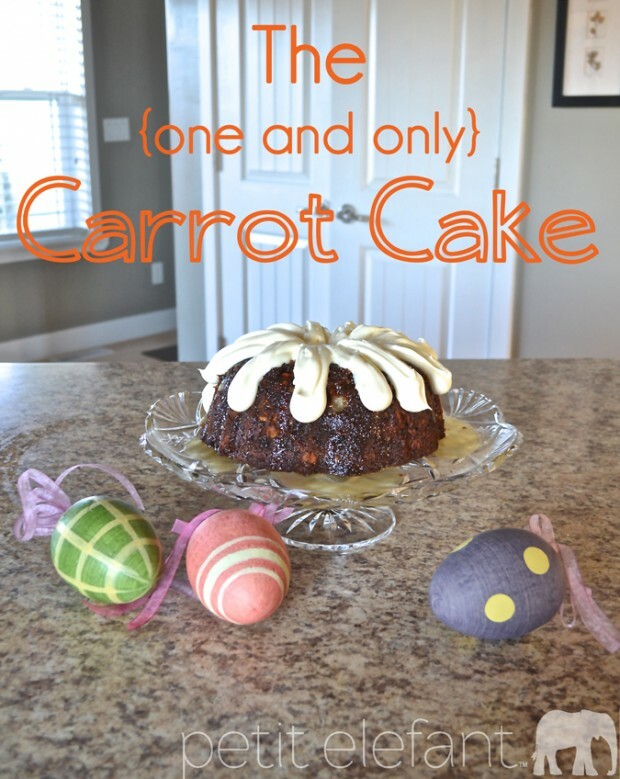 I hope you enjoy this labor-of-love carrot cake, the carrot cake, and that your Easter holiday is extra lovely. If you’d like another outrageous dessert recipe, try this.